After receiving so many requests for a princess line dress, I decided to create this pattern. Starting with the dress, adding an underskirt, tights and a hat. 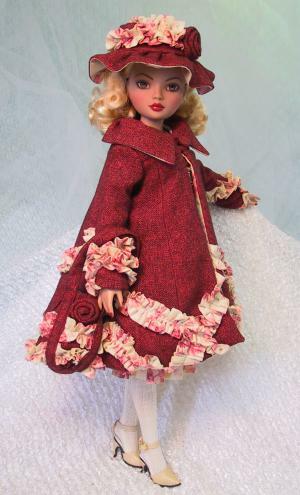 Then I reintroduced the swing coat from my discontinued "Amoureuse" pattern . 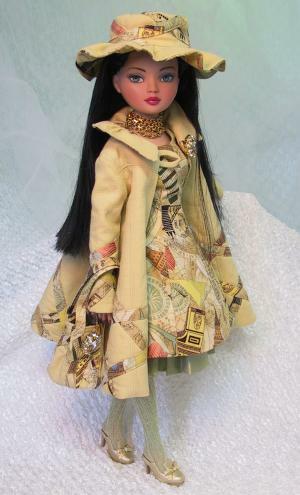 I adjusted the coat pattern to suit Ellowyne's personality, made it a little longer and wider, added a gathered collar, and adjusted the sleeves so that Ellowyne's hands pass through easily. 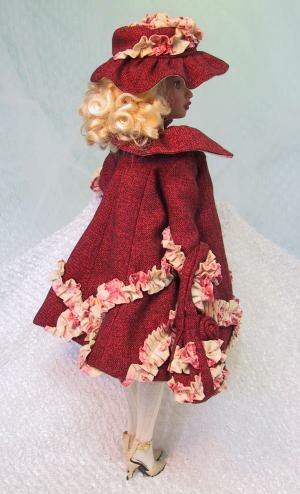 This pattern is very easy to sew, but there are a lot of steps! If you approach it "one seam at a time" you will be fine, and before you know it you will have a beautiful and completely feminine ensemble. 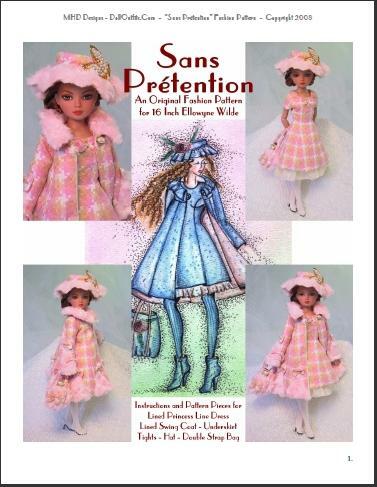 Your girls will be dressed in style with their Fully Lined Princess Line Dress, Underskirt, Coat, Hat, Bag, and Tights! This pattern is available as a PDF download for my low price of $12.00 or you can choose to purchase a pattern that is printed out and mailed to your home address for $18.00 (USPS postage to US and Canadian addresses included). an email to vtdawson@sover.net with "Preview List" as the topic!